You might have heard a lot on dental implants while you were looking for a procedure that could replace your missing teeth. That’s because, dental implants are the most sought-after option for restoring your natural smile and looks. Dental implants poses several benefits from functionality to durability, alongside other relevant advantages that makes them the choicest of all tooth replacement options. 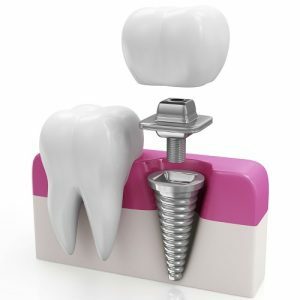 Dental implant cost might be interpreted as it being expensive, which is why you can dig into these useful tips mentioned below to find dental implants at a price that you could afford. 1. Generally, you must be ready to pay anywhere between $1500 and $3000 for dental implants as they can differ across various dental clinics. The high costs at the range of $3000 would apply only for extensive surgery that includes jaws, teeth and gums as well. 2. At first, you must know your requirements. This means, you need to know how many dental implants you’d require. For this, you must initially consult a dental prosthologist, who would examine your condition with the help of x-rays, after which you would be presented with a quote (if you are determined as an ideal candidate for implants). 3. After receiving the quote, you must ask what the cost actually covers. Don’t forget to ask if any additional prices would be incurred. Such extra costs include X-rays, usage of anaesthesia, titanium post, crowns, medications as well as follow-up consultations with the implant specialist. Knowing about the costs associated will let you stay prepared to pay for the treatment. 4. One of the best ways to obtain dental implants in a less expensive manner is to obtain the treatment at a dental college. You could make inquiries in your local area and see which dental college gives you reasonably priced dental implants. This is because of trainee dentists who are undergoing practise on dental implants, thus offering treatment at reduced prices. 5. It’s also best to get multiple quotes from various dental implant centres but an alternate choice is to make your exploration outside your location too. Cost of living also counts to determine the cost of dental implants, which means you will have to enquire in rural areas or suburbs to bring down the treatment costs. 6. As you concentrate on prices, the one thing you must never forget quality. Running behind low priced dental implants does not guarantee quality of it. Thus, it is always best to strike a balance between the two. A proficient dentist would also accept dental insurance, so that you’re not just ensured of receiving good treatment but also at reasonable prices. Dental implants are without doubt, the most beneficial method of tooth replacement. High quality implants can last for more than 10 years, which signifies the fact that paying the dental implant cost is a valuable investment.